Makeup mistakes you’re probably making! Have you ever looked through old photos of yourself throughout the years and wonder, “what was I thinking?”! Not so much about the boyfriend that your mother warned you about but at the unsightly foundation lines, oily/reflective forehead, and panda eyes to make Avril Lavigne run for her money! Yikes… we can’t promise that you won’t date the same type of guy again however, we will be making sure your makeup is always on-point- here are six beauty mistakes you’re probably already making! Hopefully by now, you know how to match your foundation colour to your face. In this day and age, there are so many different types of foundations, it can be overwhelming to choose. First you must identify what your skin type is. Ladies with oily skin should use a mattifying foundation such as Liquid Silk Foundation to help control shine- and for dry skin, a hydrating foundation like Emulsion Pact Soft Focus Foundation will keep your complexion looking dewy all day now long. If you have ageing skin, use a long lasting foundation which also contains antiageing properties in it so you get the best out of both worlds – such as Velvet Maxi Lift Supreme Anti Ageing Renovage 18hr Foundation. All of the above? 10 Collagen Cushion Compact Foundation hydrates the skin, however contains liquid-to-powder technology for oil control so it’s perfect for combination skin. Furthermore, it is infused with collagen and contains an SPF+25 so also acts a skincare! Brushes and sponges are the fundamental tools in applying your makeup. No matter how great your makeup or expensive your makeup is, if your tools are dirty and old, your application will suffer for it- no matter how hard you try to blend that streaky foundation in! Furthermore, this can cause breakouts and irritation in your skin. We suggest you wash your brushes and sponges once a week with a baby shampoo and warm water and leave out to dry out completely (or if you need it right there and then, a hairdryer will help speed up the process). You know that cakey look where you can see every crease, line and dry spot on your face? That’s because you’ve just gone a bit overboard on that powder you’ve just ultimately dipped your face in. Firstly, make sure you are using a powder to suit your skin’s needs – and the look you want to achieve. Rule of thumb is to use a big fluffy brush like our Finishing Powder Brush as this will help distribute the powder evenly all over the face, while being quite light handed in application. Make sure you are using a powder to suit your skin’s needs and the look you are trying to achieve. Our DD Velvet Skin Line Minimising Powder Concentrate on the T-zone area to combat oil and shine. We all strive for that gorgeous, J-Lo, sun-kissed look- but this doesn’t mean bronzing up all over. It’s all about contours and lightly adding Skin Clone Bronzer onto where the sunlight would naturally hit the face – top of forehead, under the cheek bones and jawlines and side of the nose! Are you committing prime crime? Primers helps your foundation stay on longer, as well as provide the perfect canvas for your makeup, depending on your skin type. Not only does priming allow for smooth and even foundation application, but it helps the foundation “cling” onto your face and not slide off! We recommend a mattifying primer such as Invisible fill makeup airbrush line filling mattifier to keep your makeup in place and helps your makeup look airbrushed, all day long. If you have redness in the skin, use a correcting primer such as the Professional Base Makeup Primer to counteract redness, acne scars as well control oil and slick! 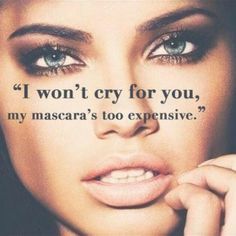 ← What your Mirenesse mascara says about you?